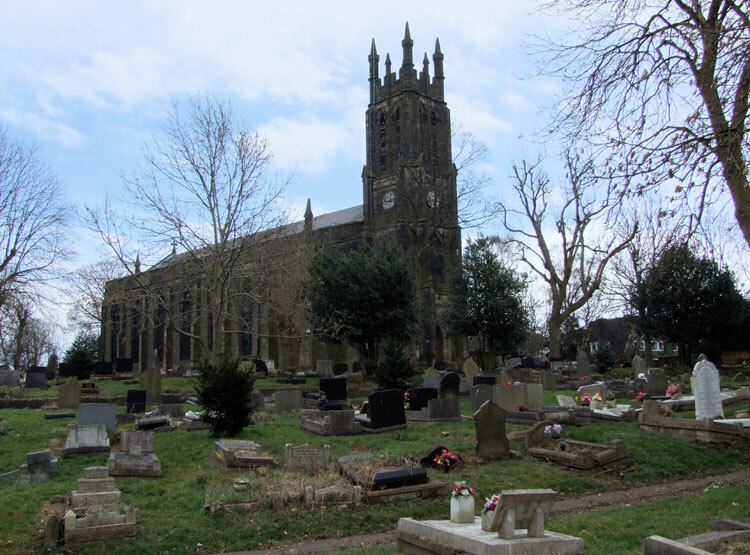 Coseley (Christ Church) Old Churchyard contains nine First World War burials and one from the Second World War. We are very grateful to Richard Roberts (<richard.nsw@googlemail.com>) for providing the photos from this cemetery. Private William Arthur Slater. 96167. 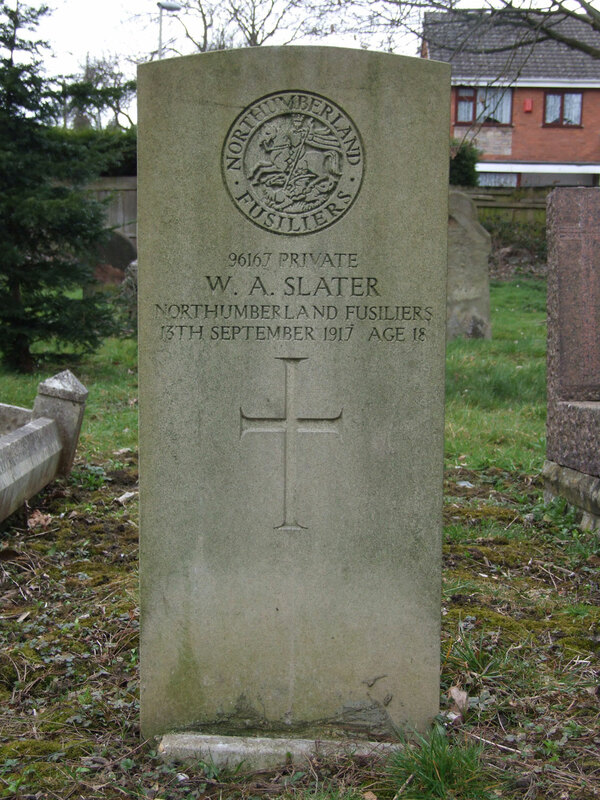 85th Training Reserve Battalion Northumberland Fusiliers, formerly 47384 2nd/4th Battalion the Yorkshire Regiment. Son of William and Elizabeth Slater of 36 Gough Street, Coseley. Died at home 13 September 1917. Aged 18. Born Wolverhampton, Enlisted Tipton, Resided Coseley.